Why Choose Us for Family Dentistry? At Family Dentist Tree, we care about YOU! Our caring and compassionate staff will ensure that you feel welcome and comfortable with each and every visit. Our individualized approach allows us to understand your specific needs and provide you with personalized care. 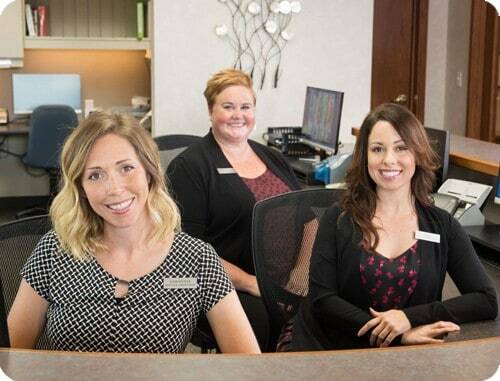 We welcome patients of all ages, and with our flexible scheduling and ample staff, we can easily accommodate your busy schedule. We understand that many patients experience anxiety and fear when visiting the dentist. That’s why your comfort is important to us! We explain each step of your visit so you know exactly what to expect, and we provide headphones, television, pillows, and blankets to ensure your visit is as stress-free as possible. From start to finish, we pride ourselves in doing the little things to ensure your visit with us is safe, comfortable, and exceeds your expectations. Our office is fully digital! We use the latest technology to provide you with the safest and most efficient dental care available. Our digital charting system allows us to share information seamlessly to ensure superior care for our patients. Our digital x-ray system provides images instantly and uses only a fraction of the radiation of traditional X-rays. We also use intraoral cameras so we can show you exactly what we see. We also offer same day crowns to help you spend less time in the chair and more time doing what you love. We provide comprehensive options for cosmetic dentistry, including Invisalign®, whitening, and veneers so you can achieve a more stunning smile. We’re here to make your visit as easy and comfortable as possible. We also have a convenient, customizable appointment reminder system, so you never have to worry about forgetting an appointment! For more information, contact us today or request your first appointment. Wondering what else Family Dentist Tree has to offer?